Hope everyone is having a swell weekend! I know I have been missing a couple of days. But here I am! This week’s food bring you to my second hometown. JAMAICA! Yup, I was raised in Jamaica for a bit. Miss the food there so I went and tried some restaurants here. And I found this one! Okay. Something about this restaurant.. They just stew everything. I bought food from there a couple of times and tried a couple of things and boy they stew it all. Down to the jerk chicken that is suppose to be dry. This restaurant stew stuff is good though. 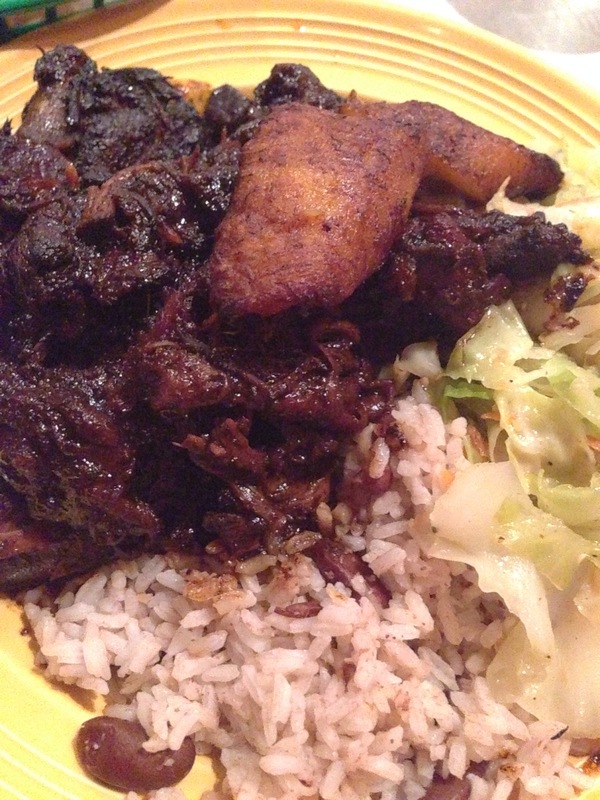 I like their stew chicken, as shown in the picture. You can barely make out what is what, but trust me. It’s good!! Anyways, have you guys tried Jamaican food or is there a restaurant that you like in your town? This restaurant name is reggae shack and the food is decent. If anyone is in Gainesville, have you had food from here? What you think of it? Hope everyone will have a good weekend!